On the penultimate day of the Turkish 1. Lig season, a scoreboard in the western city of Manisa reads 0-3. It is a familiar sight for the fans of Manisaspor, once a Süper Lig club but now facing an uncertain future owing to mounting debts. Already relegated, it is poetic to think how, as one cycle of despair is only beginning, in the same stadium and at the same time, another comes to a welcome end. Today’s visitors, MKE Ankaragücü, know all too well about ownership issues, but at full time the redemption is confirmed: they are back in the Süper Lig. Founded in 1910 through a merger of two Istanbul weapons company’s sports teams, Makine Kimya Endüstrisi Ankaragücü have enjoyed a modest existence. They moved in 1917 some 500km east to the city of Ankara, adopting their current name in 1948. With a mainly working-class support base, Ankaragücü are considered the capital’s main club, vying for the honour with Gençlerbirliği, who they share their 19 Mayıs Stadium with. At the birth of the national championship in 1959, both were chosen as founding members of the Millı Lig, although they have often struggled against their larger Istanbul rivals, with Ankaragücü relegated for the first time in 1968. They won promotion back at the first attempt, going on to win the Kupası in 1972 against Altay Izmir and ending as runners-up to Galatasaray during the following season. This meant European qualification for the Cup Winners’ Cup, although the British opposition of Leeds United and Rangers were too strong, and Ankaragücü were subsequently relegated again in 1976. Once more they came up at the first attempt but went straight back down. In 1981 they returned to the 1. Lig, although in keeping with their tumultuous existence, the nature of this was somewhat different. In the wake of the 12 September 1980 coup d’état, new president Kenan Evren and Ankara’s mayor Mustafa Gönül decided the country needed a club from the capital in the top league. During this period, only the champions of both 2. Lig groups won promotion, and with Ankaragücü finishing as runners-up to Sakaryaspor, the TFF made the subsequent decision to expand the league and grant promotion to the winners of the Kupası. A 2-1 win over fellow second-tier side Boluspor put Ankaragücü up – and finally they settled down in the top flight. Their golden era came around the turn of the millennium, with multiple European ties and high league finishes. 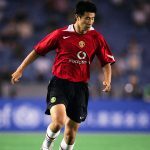 An unusual situation in 1999 of both cup finalists being in the Champions League presented a unique opportunity to qualify for Europe. A third-place match was arranged between the two losing semi-finalists, with an Ankaragücü side featuring all-time record appearance holder Hakan Kutlu, Hakan Keleş and Tarık Daşgün brushing aside Sakaryaspor in a 5-0 victory to qualify for the UEFA Cup. At the time a straight knock-out competition all the way through, after getting past Faroese side B36 Tórshavn in the qualifying round, Ankaragücü were given the seemingly impossible task of Spanish giants Atlético Madrid. Despite losing the first-leg 3-0, a result for which manager Tınaz Tırpan paid with his job, a 1-0 win over in Ankara courtesy of Birol Aksancak’s 84th-minute winner secured the greatest result in their history. The summer of 2000, meanwhile, saw the appointment of Ersun Yanal, who proceeded to take the capital club to another cup semi and ascend to unmatched league heights of sixth and fourth. It finally seemed a team from Ankara was on the verge of something special. Ersun left at the end of the 2001/02 season, owing to a disagreement with the club’s board. Unable to bring in the players he wished from former side Denizlispor, he let his contract run down before crossing over to Gençlerbirliği, taking star striker Cafer Aydın with him to rub salt in the wound. Things began to decline as a result, with a series of underwhelming seasons culminating in an ultimately fatal series of events in 2009. The club piqued the interest of Ankara mayor and Ankaragücü supporter Melih Gökçek, one of the most powerful and corrupt men in the city. During the coming elections, the incumbent president, Cemal Aydın, agreed to step aside and let Melih take over the running of the club. Naturally he won the elections, however there was a problem: Melih was already chairman of fellow Süper Lig side Ankaraspor. A municipally-backed club with just a few hundred fans, in order to sidestep the issue of having vested interests in multiple clubs he placed his son Ahmet in charge of Ankaragücü. In the most unlikely acquisitions, former England international striker Darius Vassell joined the club and, following the sacking of Hikmet Karaman after a poor start, France’s Euro 2000-winning manager Roger Lemerre came on board. His contacts helped finalise loan moves for former Champions League finalists Geremi and Jérôme Rothen. Despite avoiding relegation, the club chose to replace Lemerre with Mesut Bakkal, while signing more big names such as Slovak internationals Róbert Vittek and Stanislav Šesták. This blend of experience and talent excited the fans, alongside the opening of a new training complex, and there was talk of a challenge for more European football. Things, however, took a turn for the worst off the field, with the courts ruling Gökçek had rigged the presidential election and therefore taken illegal control of Ankaragücü. Cemal Aydın testified against him in a sudden change of heart, while Ankaraspor were suspended from all competitions due to Gökçek’s involvement. In punishment Gökçek decided to ban Ankaragücü from using the training ground and refused to pay wages, forcing the club to sell their players for nominal fees. To further complicate matters, Gökçek effectively held the club at ransom, refusing to let any buyer take over or even invest, stating defiantly how Ankaragücü would die without him. This appeared to be a likely outcome, with the club finally succumbing to relegation in 2012. 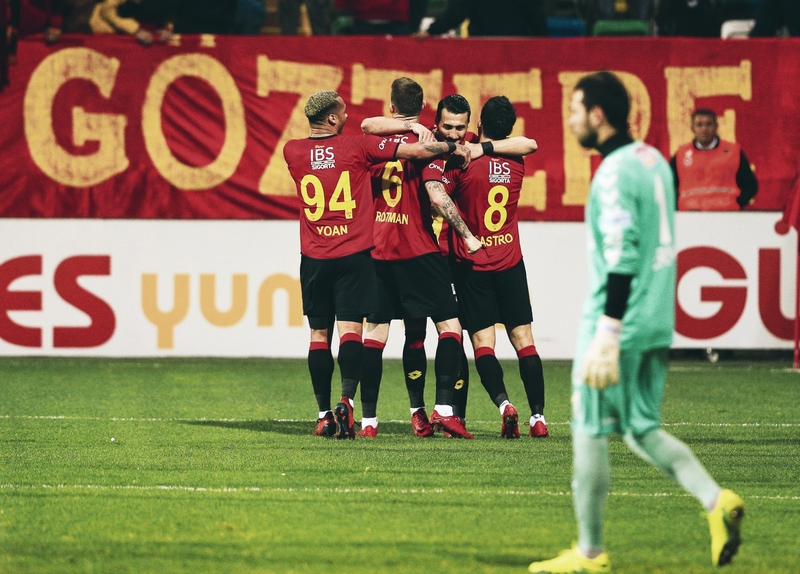 Forced to field youth players all season, the squad recorded one of the worst records in Süper Lig history – just 11 points and two wins. That summer the club were hit with a transfer ban and subsequently relegated again the following season. During this season, the Gecekondu ultras, amongst the most feared in Turkey, vented their frustrations. One notable incident in December 2012 involved a large-scale riot against Konyaspor, where in response to taunts from visiting fans, the ultras tore down fences and invaded the pitch. In response, the TFF forced Ankaragücü to play 11 matches behind closed doors. At rock bottom, the club then endured three seasons in the wilderness of Turkey’s third tier, remarkably still attracting attendances that would rival some top-tier clubs. Their slow return to the top began in 2013 with the election of Mehmet Yiğiner as president. 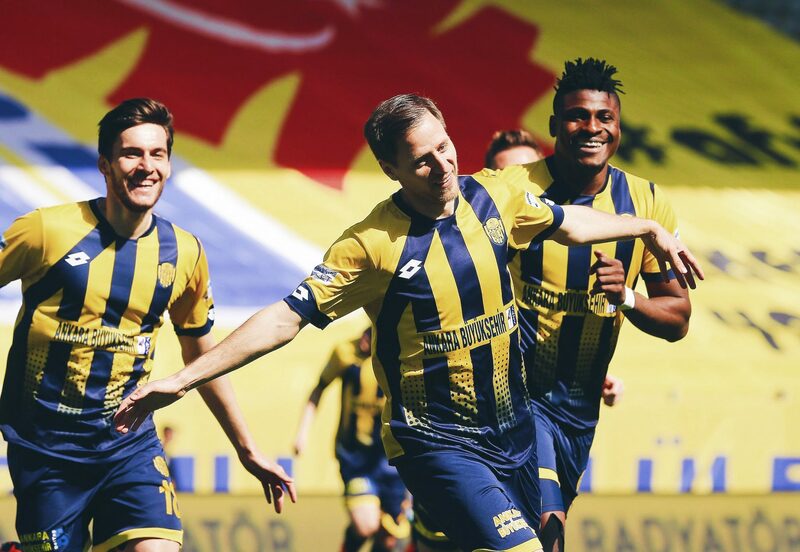 A close friend of Melih Gökçek, his appointment was questioned by many Ankaragücü fans, but he has sought to prove the doubters wrong and use his ties to get the club back on the road to recovery. He successfully lifted the transfer ban and found investment to save the club from liquidation, prior to earning promotion as champions of the 2017 2. Lig Red Group. Back in the 1. Lig, Ankaragücü sought to exceed all expectations, challenging for another promotion in front of crowds of up to 25,000. A winless four-match start put pressure on head coach İsmail Kartal, however a 4-1 win at early leaders Rizespor in week five perpetuated the belief to go on a 12-game unbeaten run that left the club top at the winter break. A poor start to the second half of the season came to a head in early March, when a scrappy 2-1 win at İstanbulspor put Ankaragücü back on track. The club would go on to lose just once prior to the victory at Manisaspor that secured promotion back to the big time. On their return home to Esenboğa airport, a sea of flares and ecstatic chants greeted their new heroes. Whilst Gençlerbirliği and Osmanlıspor both fight on to secure their top-flight status, the authorities can rest easy that there will at least one Ankara side in next season’s Süper Lig.